Sotterley Plantation gatehouse project. Photo provided by Nancy Easterling. 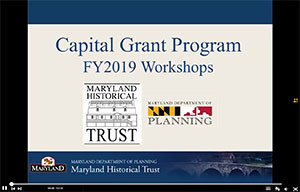 The Historic Preservation Capital Grant Program promotes the acquisition, restoration, and rehabilitation of historic properties in Maryland. 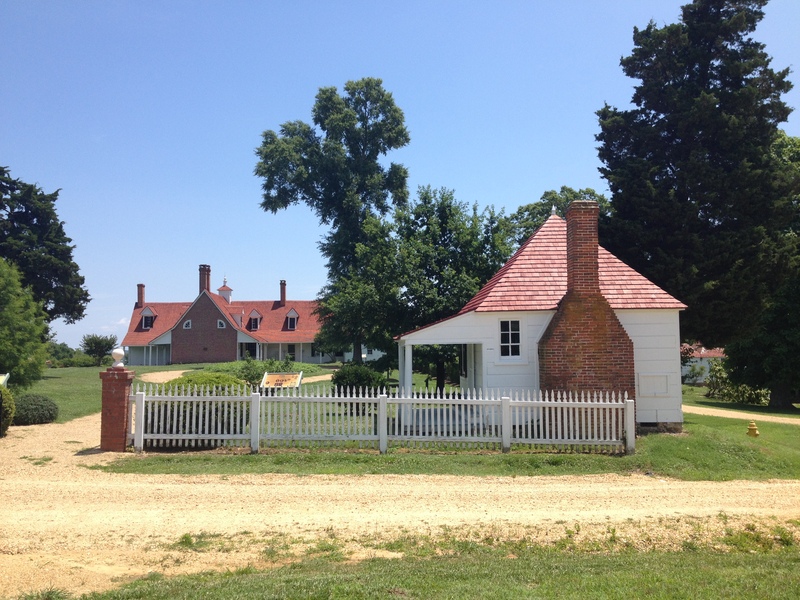 Eligible properties are limited to those which are listed in or eligible for the Maryland Register, either individually or as a contributing structure within a district. If you missed the workshops, you can still listen to a recorded version of the presentation by clicking on the image on the right. Most of the documents mentioned in the presentation can be found on this page in the left column or in the topic descriptions below. If you have any questions, please contact Charlotte Lake at 410-697-9559 or charlotte.lake@maryland.gov. The following entity types are eligible for this program. All applicants should be aware that the project must have a demonstrated public benefit in order to be competitive. State and federal government entitites are eligible to apply as nonprofits; however, projects involving state and federally owned properties cannot comply with the requirement to convey a perpetual preservation easement to MHT and therefore are not expected to rank highly enough for funding. The program has received an appropriation of $600,000 for FY2018 for grants of up to $100,000 per project per year. All applicants except for nonprofit organizations are required to provide a dollar-for-dollar match. The following capital project types are eligible for assistance. All projects must be capital projects on a property that is eligible for or listed on the Maryland Register. Projects must also have a strong public benefit in order to be competitive. Work, or a discrete phase of work, that is already underway or completed is not eligible for grant funding.